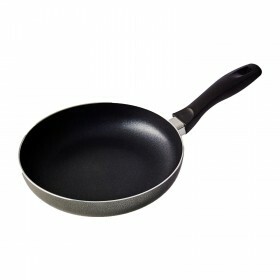 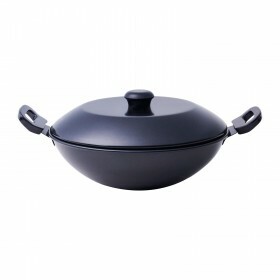 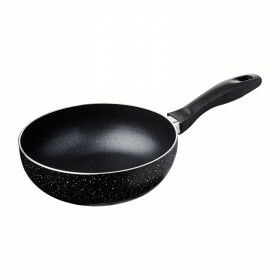 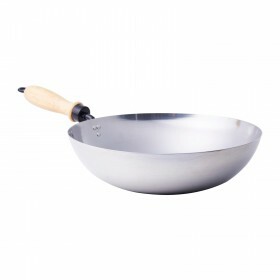 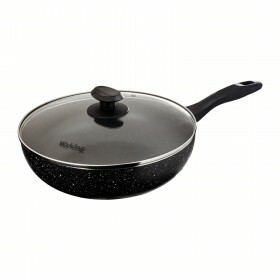 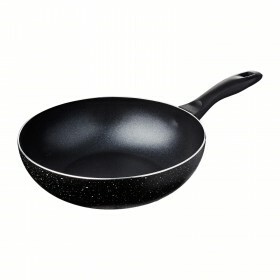 This pan is made from aluminum which ensures both quality and durability. 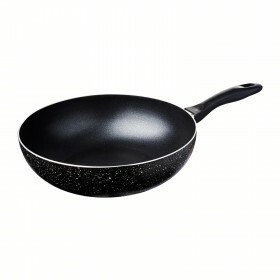 Non-stick interior. 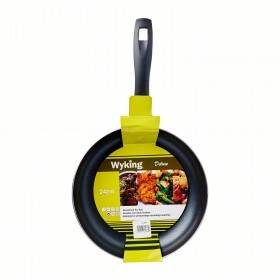 The curved handle allows for easy handling of the pan and provides a comfortable grip. 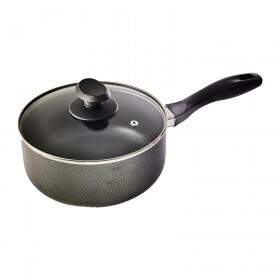 Suitable for all stove tops including induction.